We’re in the midst of the coldest months and already dreaming about those warm summer days! Ready for the cold weather to fade and the sun to make an appearance so we can get outside and start exploring! Our on-site staff are sharing their favorite summer activities in each city, so start planning your summer adventures now! 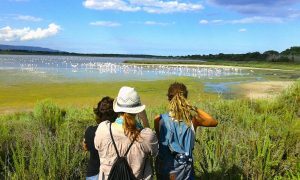 Syracuse: Flamingo watching at the Vendicari Marine Wildlife reserve. The Vendicari beaches are also laying grounds for the marine turtles of the Mediterranean, which can be spotted on some lucky occasions. 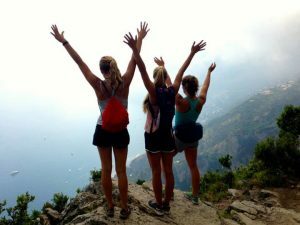 Sorrento: Whether keen on hiking or not, the Path of the Gods, set in stunning natural beauty, is a must to see, at least for who wants to deeply dig into the marvels of the Sorrento Peninsula and Amalfi Coast. From the Path of the Gods it is possible to admire one of the most striking panoramas on Earth. Bomerano, small village at the foot of the mountains between Sorrento and Amalfi, is the starting point of this breathtaking path. Rome: Whether it’s roaming through Fori Imperiali, or the Giardino degli Aranci, there are endless beautiful spots to enjoy nice weather in Rome. Wherever you choose to go, cooling off with a gelato is always the perfect outdoor activity! 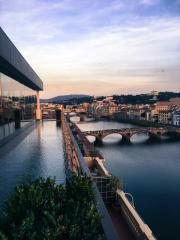 Florence: Here is a photo of the view from the rooftop restaurant at the Westin by the river! They offer a wonderful aperitivo menu and great drinks. It’s a bit pricy, but worth checking out because the view is so beautiful. Try to arrive as close to sunset as possible in order to get gorgeous views of the sun setting on the river. London: Summer time in London is precious. As soon as the sun comes out so does everyone! A great activity in summer involves parks. 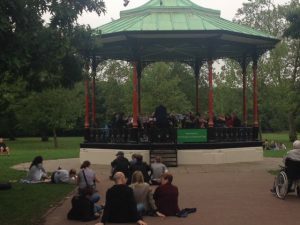 Some of the Royal parks in the summer months organize live music in the park – mainly big band music – which is played from a gazebo-like bandstand in the heart of the green. Deck chairs are put out in the grass to hire throughout the park for taking sun or just enjoying the park and music. This traditional activity was once all the rage, and is a nice taste of classical Britishness. Add a glass of Pimms and it’s summertime in London! Paris: Canal Saint Martin- Construction of the Canal Saint-Martin was ordered by Napoleon I in 1802, and was originally built to provide transport to supply Paris with food and building materials. Located on the Right Bank, the 4.5km long canal connects the Canal de l’Ourcq to the river Seine. 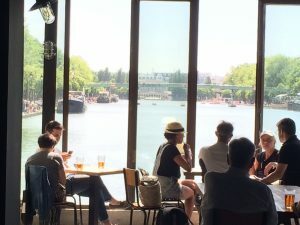 Today it has become a prime summer spot for a stroll, picnic, drinks inside the many cafés that line its banks, or even boating. Barcelona: No matter where you are in Barcelona, you’ll be able to feel the sea breeze. Endless outdoor activities and sports happen on the beach all summer long. From sandcastle building to paddle boarding, lazy days in the chiringuitos and pick up volleyball and fútbol games, Barcelona has it all! 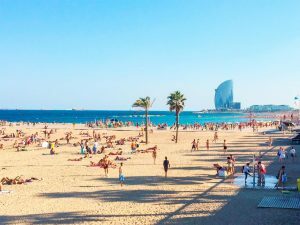 All of Barcelona’s beaches are easy to get to by metro and even by walking! Barcelona beaches are better than beautiful! 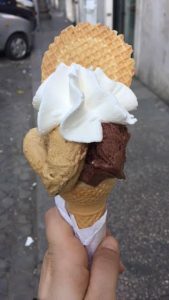 Milan: The heat is out and it’s time to cool off! 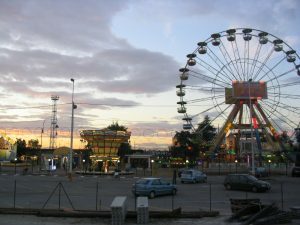 The idroscalo Milano offers bike rentals, sailing, Luna Park, boat rentals, summer concerts and a plethora of other fun summer activities! Siena: Siena has plenty of hiking and walking trails to explore! 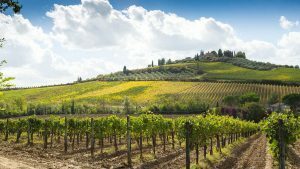 Spend a day out of the city and get in touch with nature while exploring the rolling hills and vineyards of Tuscany!